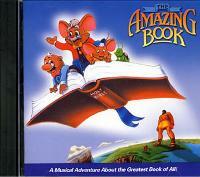 Featuring Grammy-nominated songs and award-winning animation. Your children will delight in the exciting adventures of Doc Dickory, Revver, and their "book mole" friend, Dewey Decimole, as they explore the fascinating facts of the most amazing book ever written, the Bible! Scroll down and click on the song titles below for LYRICS and more DETAILS. Selecting the 'Buy' button will take you to an external site where these songs can be purchased!